The PPHA includes Pro Football Hall of Famers, Eric Dickerson, Mike Haynes and Marcus Allen. Snorting, choking or gasping during sleep, frequently noted by bed partners. The ZQuiet anti-snoring mouthpieces are simple and comfortable, especially for former or current athletes accustomed to wearing a mouth guard. The ZQuiet appliances are similar to the mouth guards used to protect players’ mouths during games, and are designed by health professionals to treat sleep disordered breathing. “The ZQuiet devices are so simple to use, and feel the same as putting in a mouthguard. They are easy to obtain and affordable, including a simple snoring treatment that can be ordered online, as well as a range of custom treatment options available from dentists and physicians. It’s time to try ZQuiet and get the sleep you deserve,” says Marcus Allen. 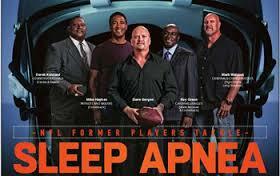 Pro Player Health Alliance (PPHA) is an organization dedicated to helping former NFL players, providing testing and treatment options for those who suffer from sleep apnea. Since launching in April 2012, over 260 players have been treated through PPHA’s “Tackle Sleep Apnea” campaign. The PPHA works closely with the American Sleep and Breathing Academy and is dedicated to improving health and wellness through sleep education and advocacy. Sleeping Well, LLC (ZQuiet’s parent company) was founded in 2008 by a husband and wife seeking a solution for the chronic snoring problem that was literally ruining their marriage and impacting their health. They brought to market ZQuiet, an anti-snoring mouthpiece, that simplifies the treatment experience for sleep disordered breathing, and delivers an innovative, inexpensive and immediate treatment for snoring as a starting point for the professional continuum of care for all forms of sleep disordered breathing. 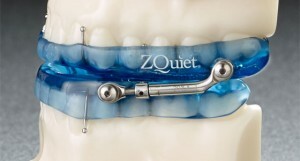 ZQuiet offers a full suite of oral appliances to treat snoring and obstructive sleep apnea.